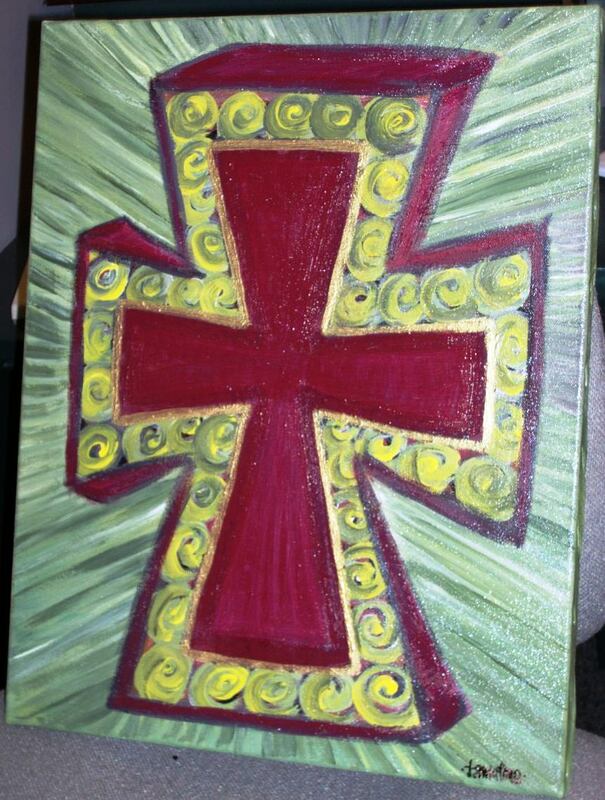 My friend Vicki said I should do paintings of crosses. So, I painted this yesterday. Entry filed under: paintings by tracey. I like it. The colors are really vibrant. Amazing how color can say what words sometime fail to convey! Enthusiastic and confident. Love you, Honey. I love it!!! You’re awesome and you’re inspiring me to start painting again! !